What is life like 102 days after you've lost your wife? Still horrible, Patton Oswalt said in a new post on Facebook on Monday night. The comedian's wife, Michelle McNamara, died on April 21 in her sleep, just one week after her 46th birthday. In his post, Oswalt explained that in general people can accomplish so much in 102 days, but not after losing a loved one. "But 102 days at the mercy of grief and loss feels like 102 years and you have s**t to show for it," he wrote. "You will not be physically healthier. You will not feel 'wiser.' You will not have 'closure.' You will not have 'perspective' or 'resilience' or 'a new sense of self.' You WILL have solid knowledge of fear, exhaustion and a new appreciation for the randomness and horror of the universe. And you'll also realize that 102 days is nothing but a warm-up for things to come." At the same time, the comedian wrote about how moved he has been by the outpouring of kindness from friends and strangers alike. "You will have been shown new levels of humanity and grace and intelligence by your family and friends," he wrote. "They will show up for you, physically and emotionally, in ways which make you take careful note, and say to yourself, 'Make sure to try to do that for someone else someday.'" Oswalt added how touched he was by social media messages from fans, as well. 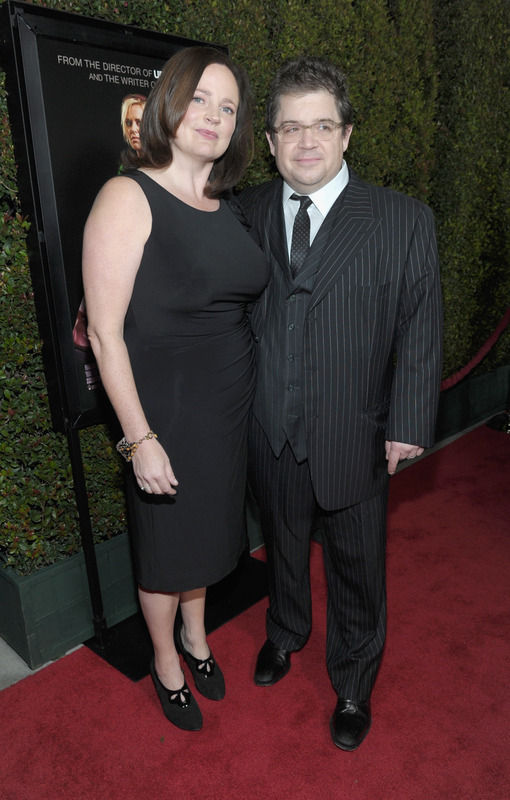 Oswalt also reiterated how much he sees his wife in his daughter, saying, "She left Alice, her 7-year-old daughter. But not before putting the best parts of her into Alice, like beautiful music burned onto a CD and sent out into the void on a spaceship." The sentiment echoed something he wrote in an essay for Time shortly after his wife's death, when he wrote that his daughter said, "'When your mom dies you're the best memory of her. Everything you do and say is a memory of her.'" He finished that essay by writing, "That's the kind of person Michelle created and helped shape. That was Michelle. That is Michelle. I love her." McNamara was a true crime author who wrote for her blog, TrueCrimeDiary.com and Los Angeles Magazine. She was working on a book on the Golden State Killer for Harper Collins when she died.